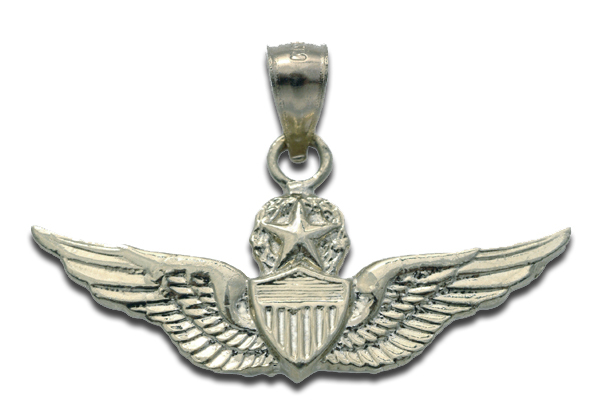 Our Army Aviation pendants are exquisite hand-crafted pieces of jewelry that are custom made from our own hand-crafted molds, not made from existing badges or pendants. Each pendant is meticulously crafted by our jewelry designers to present a beautifully finished and worldly unique piece of art. 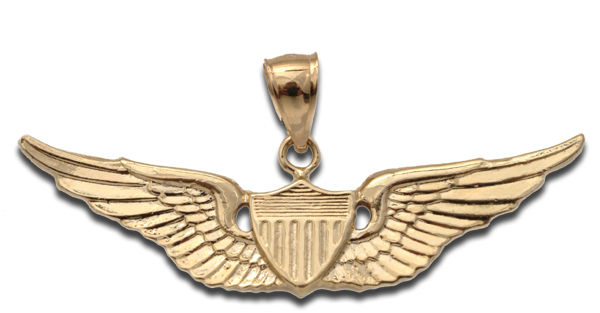 We offer our Army Aviation pendants in either 14kt White or Yellow gold. Our most popular pendants are the Army Aviator Wings pieces. 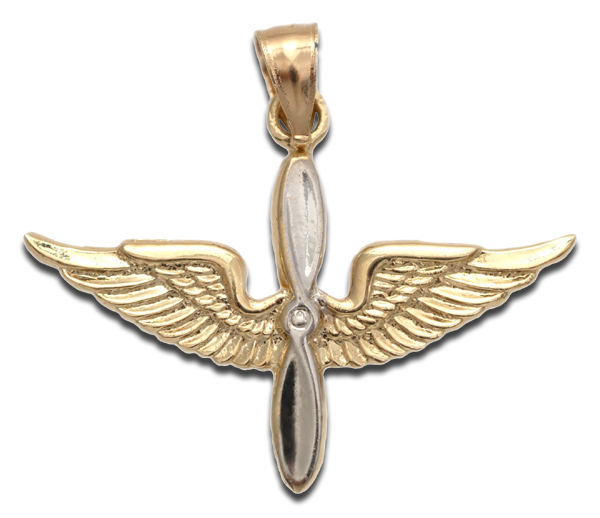 Each wing pendant is hand crafted in 14kt white or yellow gold. Our Tie Tacs / Lapel Pins are available in 14kt white or yellow gold. Our Army Aviation Insignia pendant is a beautiful blend of 14kt white and yellow gold and measures 1 1/4" from wing tip to wing tip. Our Army UH-60 Black Hawk Helicopter pendant is cast in 14kt gold and measures approximately 1" and is available in white or yellow gold. Our Army AH-64 Apache Helicopter pendant is cast in 14kt gold and measures approximately 1" and is available in white or yellow gold. Our Army CH-47 Chinook Helicopter pendant is cast in 14kt gold and measures approximately 1" and is available in white or yellow gold. 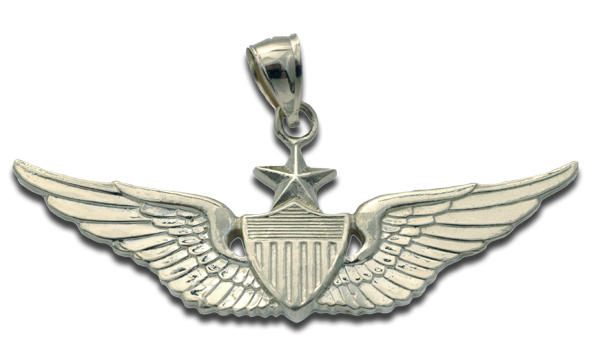 Our Army UH-60 Black Hawk Helicopter pendant is also available as a pin or tie tack. Our Army AH-64 Apache Helicopter is also available as a pin or tie tack. 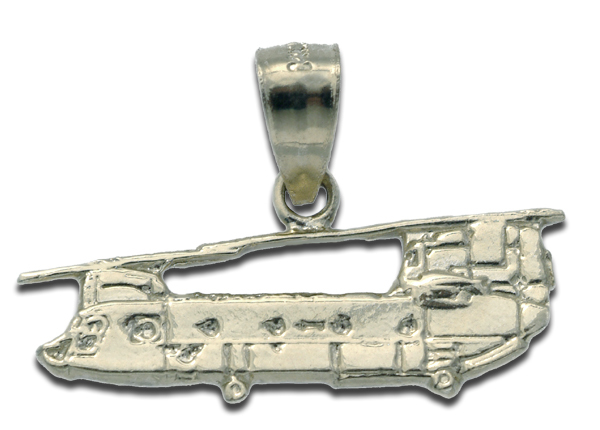 Our Army CH-47 Chinook Helicopter is also available as a pin or tie tack. 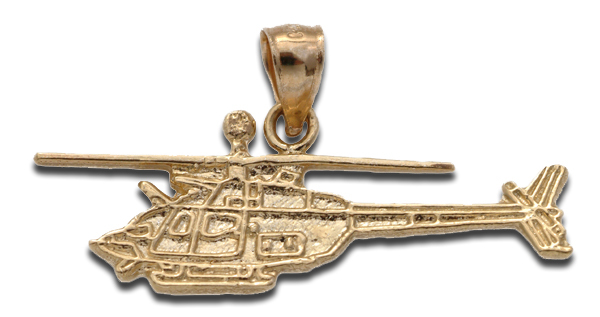 Our Army OH-58D Kiowa Warrior Helicopter pendant is cast in 14kt gold and measures approximately 1". It is available in white or yellow gold. 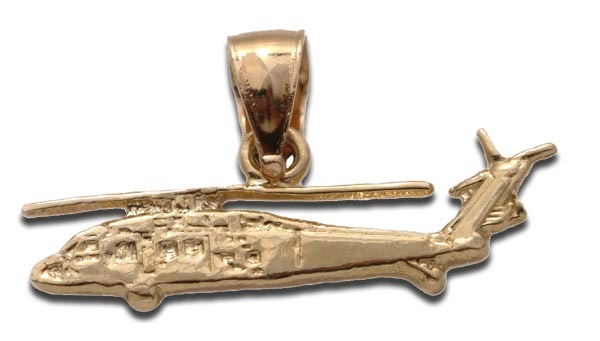 Our Army OH-58 Kiowa / TH-67 Helicopter pendant is cast in 14kt gold and measures approximately 1". It is available in white or yellow gold. 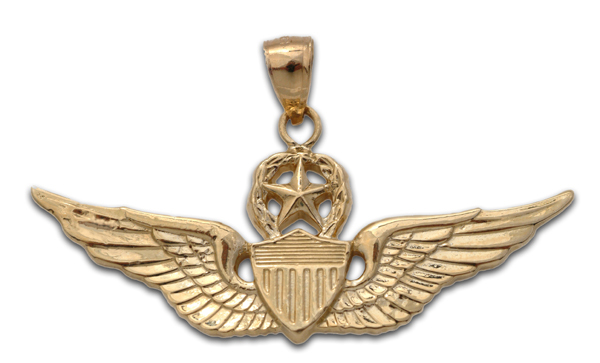 Our Army AH-1 Cobra Helicopter pendant is cast in 14kt gold and measures approximately 1". It is available in white or yellow gold. 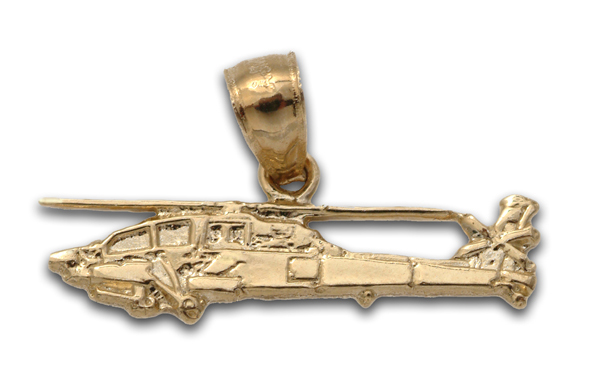 Our Army OH-58D Kiowa Helicopter pendant is also available as a pin or tie tack. 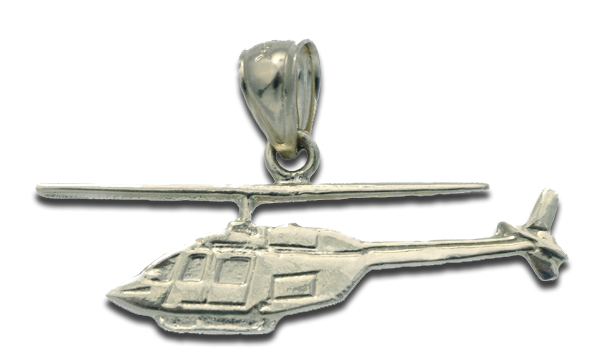 Our Army OH-58 Kiowa Helicopter pendant is also available as a pin or tie tack. 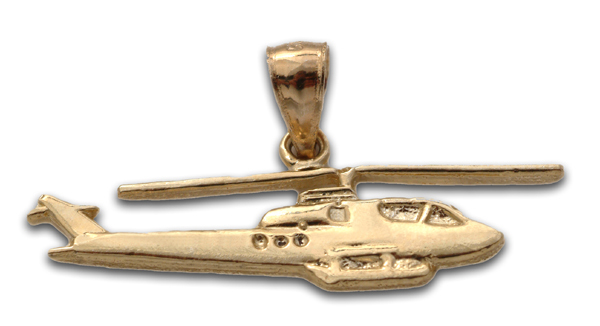 Our Army Ah-1 Cobra Attack Helicopter pendant is also available as a pin or tie tack.